Eagle Ridge Golf & Country Club is a 72-hole golf & leisure club designed by Greg Norman, Nick Faldo, Isao Aoki and the well renowed golf course architect Andy Dye. 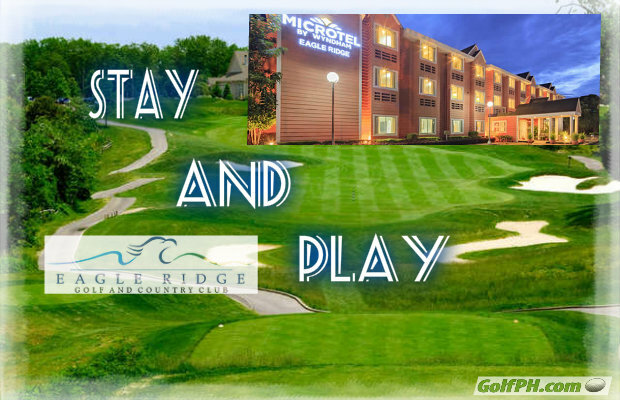 With 4 courses to choose from and one overnight stay in Microtel Hotel Eagle Ridge, just minutes away from the course clubhouse. This will surely let you play more! 1 overnight accommodation at the Microtel Hotel Eagle Ridge in either 1 queen bed or 2 queen beds with Breakfast for 2.